The Nathaniel Center undertook a pro bono program at the District of Columbia Jail in 1999. After a meeting with the prison chaplain, Rev. Mike Bryant, the Center Director Bill OBrien organized a meditation seminar for the inmates of the jail. 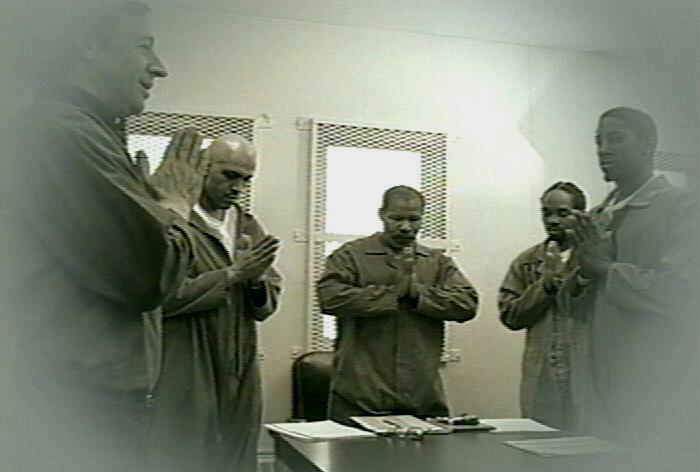 Inspired by a program which met with great success in the prison system of India, Bill felt that the benefits of a daily meditation regimen would be of great relevance for spiritually minded inmates in handling the tensions of daily life in the prison, as well as in all areas of their lives after release from incarceration. Thus the program taught MINDFULNESS MEDITATION as a tool for anger management to a first class of four volunteer prisoners. The venture was successful beyond the expectations of the prisoners who participated, and of the program designers as well. Participants reported that they felt centered, perhaps for the first time in their lives, and strangely and wonderfully disposed to be patient with the many intrusions and indignities of prison life. A second session was held, and more inmates participated. Then, through the auspices of the prison chaplain, a third class was organized. The systemic success of such an effort depends on the support of the administrative powers that be. And in this case, the prison warden soon became more aware of the program and an ardent supporter of it. She approved a similar program for the Correctios Officers. A professionally produced and inspiring video report of the Prison Project was completed in 2002, and is now available for distribution. The video was underwritten by a special fundraising drive coordinated for this purpose by the Nathaniel Center. Remarkably, 80% of those solicited responded with a money donation to fund the project. It was produced and directed by Ms. Robin Fender, who was doing post graduate work at the Department of Media and Communications of American University. The Nathaniel Center is presently seeking to distribute the video to public school systems throughout the country. Not only does it make a moving presentation on the power of meditation, but it also delivers a powerful message from the inmates directed on the need to stay in school and complete education. The video is also available for private purchase from the Center for $24.95 a copy. Discounts will be given for purchase of multiple copies. For more information on ordering, click on Contacting the Center in the left margin.